Streamlight Ultra-Stinger with AC- DC charger | 700595, STREAMLIGHT, INC., Streamlight Ultra-Stinger with AC- DC charger | McDonald Uniforms, Inc.
A high intensity, extremely bright rechargeable featuring a beam of up to 75,000 candlepower and up to one hour of continuous run time. The UltraStinger is five times brighter than the SuperStinger, blasting up to 75,000 candlepower for 1 hour. 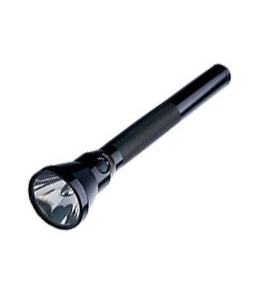 This makes it the brightest Streamlight flashlight available. 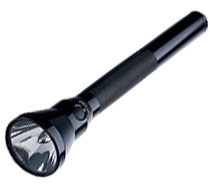 Weighing in at just over a pound, the UltraStinger has a machined aluminum case, unbreakable polycarbonate lens and features a spot-to-flood beam.